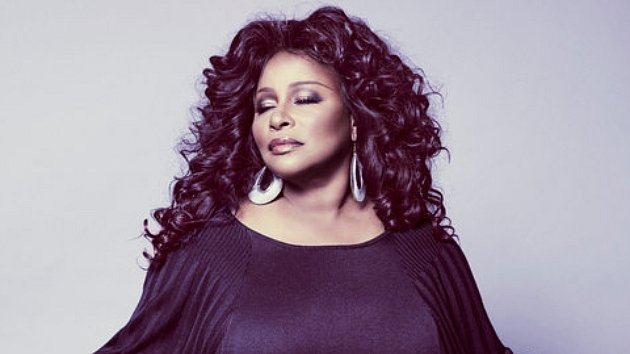 I am a huge Chaka Khan fan. Really big. I’ve met a lot of the artists I respect, but Chaka has eluded me like a ghost for nearly 15 years. Back when the internet was young, I built a comprehensive website called Chaka’s House. It attracted a core of fans and established an internet presence for the fiery-haired songstress during an important time. Her management team, headed by her sister Tammy, caught wind of it and contacted me. I was thrilled! I would’ve gladly turned the site over to them to carry forward, but Chaka did not want to commercialize it. As a consolation prize, Tammy invited me to the video shoot for “Don’t Talk To Strangers.” This was before the age of cell phones, so I had them call me at work. In a comedy of errors, my bungling co-workers didn’t pass me her message until the day after the shoot happened. So Tammy tried again. She scored me an invitation to a scientology benefit held by Kirstie Alley featuring Chaka as the mainstage entertainer. I received the invitation in the mail the day after the event happened. Third time’s the charm, right? Tammy called to invite me to a Prince concert Chaka was opening at The Forum. I would have loved to meet them both; however, as a struggling college student, I couldn’t afford the tickets. Pretty frustrating. I still love her though. Something about the frequencies and vibrations she generates stirs my soul in all the best ways, but I unofficially resigned that maybe it wasn’t meant for me to meet her. Today, I have a number of friends who have met, worked with, or personally know Chaka Khan. They’ve told me great stories about her, but I still have none of my own. So last week when one of them called to invite me to sit in on a studio session with the woman herself, I could scarcely believe what I was hearing. Nonetheless, I got ready. Pack’d my bags, put ‘em at the door. Stuffed my iPod extra full with esoteric faves from her discography: “Father He Said,” “Stay,” “The Other Side of the World,” “Let Go.” I took my framed LP of What Cha’ Gonna Do For Me off the wall, grabbed her autobiography Chaka! Through The Fire, and stowed both away in my car just in case. To my dismay, Chaka postponed the studio session that day. And then again the next night. You know how musicians are. It may not happen at all. Again, maybe it’s just not meant to be. I was a bit deflated, but not fully. The joy she’s already brought to my life is still intact. So I listened to my songs and had a great day. Oh well. We’ll catch up some other time. What surprised me was, even after the disappointment, I hadn’t given up hope. I decided to keep my Chaka memorabilia in the back of the car. Maybe I won’t get to hug her, smile giddily, and thank her for the inspiration. But you never know. That call could still come in. By the same token, I’ve weathered a number of Jesus-related disappointments too. Those setbacks lead me to think my ability to believe was broken. Lately, I wonder whether Jesus is coming back at all. Maybe everything I’ve been taught was wrong and I won’t see my savior face-to-face. I’m a little deflated. But what he’s already done for me is still intact. So I keep an ember of expectation glowing. Any day that call could come in too. You never know. What an incredible illustration. I can definitely relate. I have stories like for sure. I’ve gotta post the update (and picture) from when I met her. I was so bowled over that I never revisited the blog!